One determined woman refusing to leave well enough alone. In a heart-stopping moment, while rowing off the coast of Georgia the summer of 1986, Abbey Taylor Bunn discovers a dazed boating hit-and-run victim. In the days following the successful rescue, Abbey becomes acquainted with a new potential real estate client, but the unidentified man worries a recently awakened side of her, the sleuth. Who is he? Who left him to die, and why? Ever-curious and afraid of nothing, she digs for clues and is rewarded by discovery after discovery until a grim picture begins to form. Only when she confronts the assailant does the final piece fall into place, and she realizes how fully her moral duty inserted her into the wounded framework of the lives of others. 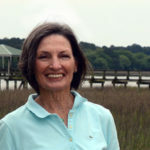 M. Z. Thwaite is the author of the literary suspense novel Tidewater Rip in which she shares her life-long love affair with Georgia’s golden coast. 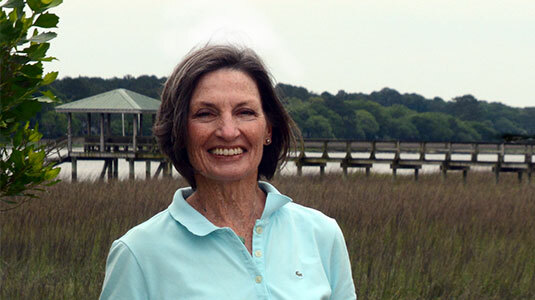 A licensed Realtor since 1983, she continues to enjoy the simple pleasures of the hunting and fishing club on the coast of Georgia co-founded by her maternal grandfather. She grew up in Atlanta, Georgia and lives in Beaufort, South Carolina with her artist husband Steve Weeks of Riverton, New Jersey. 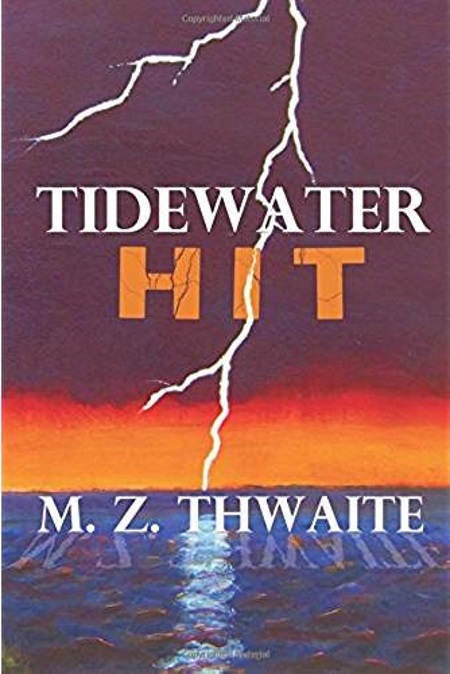 Two years ago, I read the first novel in this series, Tidewater Rip, and loved it to bits. Over the last full weekend of September, I devoured this sequel, Tidewater Hit, and am happy to report that the community of Kings Bluff, Georgia is one where I still feel completely at home. Dropping in on the fictional adventures of Abbey Taylor Bunn is like visiting an old friend. You may not see them very often, but you know the ice tea will be sweet and cold, the dog will be waiting to greet you, and the mystery will be incredibly compelling. Such is the case with this novel. From the opening, with Abbey rowing and discovering a man floating in a place where one is more likely than not to become sharkbait through every twist and turn I was on the edge of my seat. Or I would have been if I hadn’t been reading this in the bathtub. What I loved was that relationships from the original novel – specifically Abbey’s with Atlanta-based lawyer Tom, but others as well – were continued. I also loved Sarge and his ‘dead rise’ fishing boat, which can be used for a multitude of other purposes. He made a big impression on me. As well, author Thwaite has turned the community of Kings Bluff and those secluded cabins into a character in its own right. 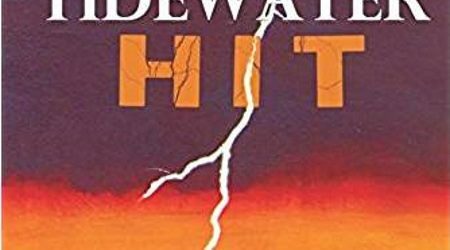 While Thwaite’s skill and plot and dialogue is undeniable, where she excels is at giving readers a vivid sense of place. As I was reading this, I could taste the salt air, feel the tiny stinging bites of sand fleas (sand gnats), and feel the muggy heat. It is that feeling, as much as the story itself, that made the novel for me. As well, the author does an excellent job of honoring the 1986 setting without making it feel campy or too ‘period.’ This story may be set 31 years in our past, but it reads as contemporary literature. Read this book if you love mysteries with strong female characters, a touch of humor in the right places, and plots that are intricate enough to be interesting, but not so convoluted that a diagram is required. Goes well with a tomato and vidalia onion sandwich, or, if you’re more mainstream, fresh-caught shrimp cooked however you like them and cold sweet tea or chilled beer.